Along with focusing on workforce development by preparing finance students for big-data analysis and supply-chain management, South Florida postsecondary schools are also taking the theories of finance outside the classroom. Students involved in Student Managed Investment Funds, or SMIFs, use a “top-down approach,” first researching an industry and then a specific company, said Mr. Carrillo, who teaches FIU’s SMIF class. Students look for undervalued companies that have the potential for a higher stock price. They look at multiple factors, including a company’s financial statements and plans for new products to gauge a company’s health within the context of the industry. No stocks are bought, however, until the SMIF’s proposals are approved by an advisory board comprised of industry professionals. As of late last week, FIU SMIF’s portfolio was up 4.8% since Dec. 31, Mr. Carrillo said. That’s higher than the 1.3% increase the S&P 500 reported the same day, he added. 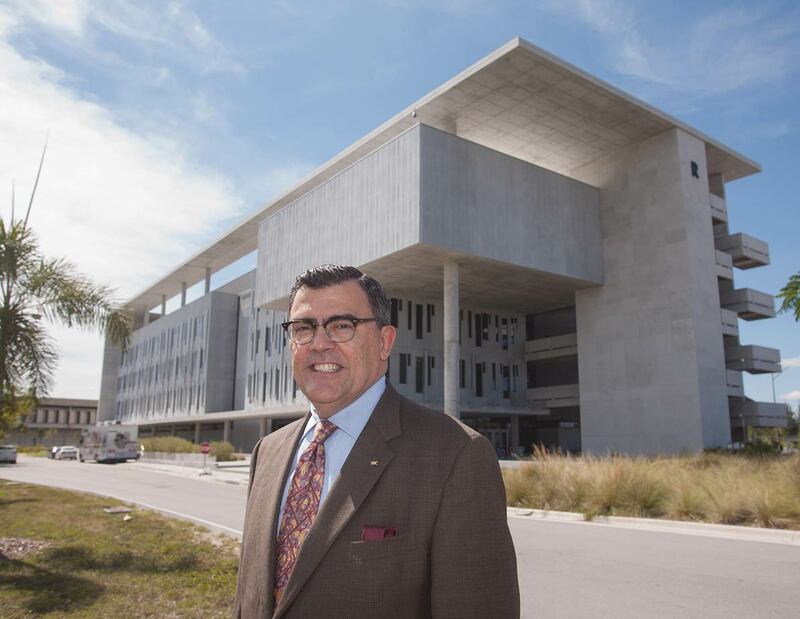 The part of Barry University’s endowment fund entrusted to the school’s SMIF has been growing at an annual average of about 8% to 10%, said Stephen Morrell, Barry University Andreas School of Business professor of economics and finance. Aside from experiential training, finance education has shifted to address growing finance fields. “We’re workforce driven,” said Miami Dade College School of Business Dean Rafo Saldaña. In the fall, Miami Dade College will start its bachelor’s of applied science in supply-chain management, or the logistics of the flow of goods. According to numbers released last year, about $125 billion in imports and exports go through South Florida ports, including airports, PortMiami and Port Everglades, Mr. Saldaña said. “That’s a major industry where we come in and supply the talent,” he said. The new bachelor’s program as well as an existing bachelor’s of applied science in supervision and management offer classes in financial management, financial markets & institutions, investments and finance for non-financial managers. “There are a lot of managers that might be very good at managing people but might not be as good at managing the financials,” Mr. Saldaña said, referring to the importance of the finance for non-financial managers class. Big-data analysis is the analysis of massive amounts of information collected by a company so it can learn something about its customers’ spending habits. Finance education in South Florida postsecondary schools includes service learning: the Future Banker’s Camp held by Miami Dade College and the Center for Financial Training housed at the college gives high school students hands-on experience in finance; and Barry University’s financial literacy courses at William H. Turner Technical Arts High School. Mr. Morrell of Barry said he has also incorporated another, rather controversial, aspect of finance education in a couple of his lectures: the intersection of neuroscience and finance. “What that refers to is the neuroscientific biases that investors may have that affect how they invest their money,” he said. Among other things, there’s the notion that investors hold on to stocks with a decreasing value and sell stocks with an increasing value. “So we sell our winners, and we hold on to our losers,” Mr. Morrell said.